It is true, isn't it? Life is what you make it, and we are ALL guilty of spending time on things that can wait and not spending time with those people who mean the world to us, just making memories, having fun and enjoying life. Slumberdown are currently running a competition to win the chance to have your housework done by professionals for a whole year, giving you more time to make memories and just HAVE SOME FUN. What would I do, if given more time away from the housework? 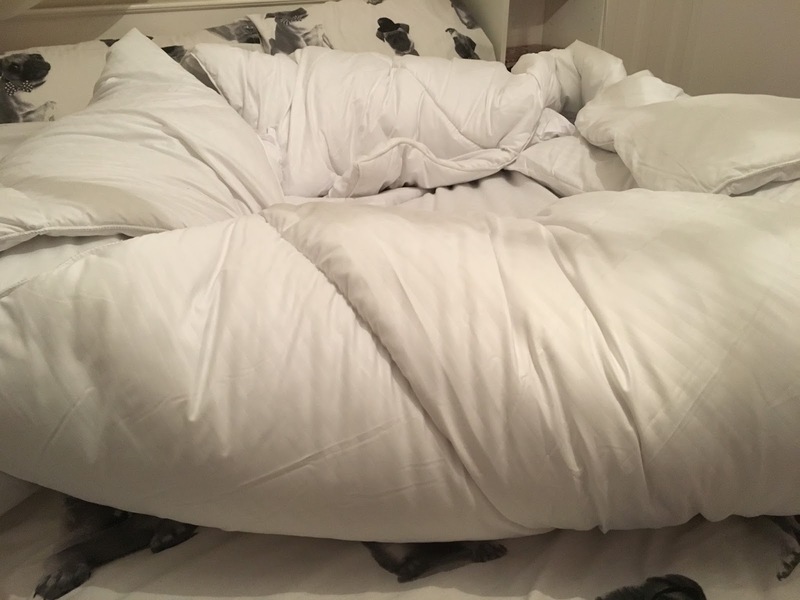 A DUVET DAY OF COURSE. Does anyone else remember being a child and grabbing all the duvets in the house, piling them on your own bed and making a nest out of them? Let's face it, even as adults, that sounds like a superb way to spend the day, doesn't it? I gave my ten year old daughter ALLLLLLLLLLLLLL the duvets and told her to use them however she wanted to. This was how she spent her time. 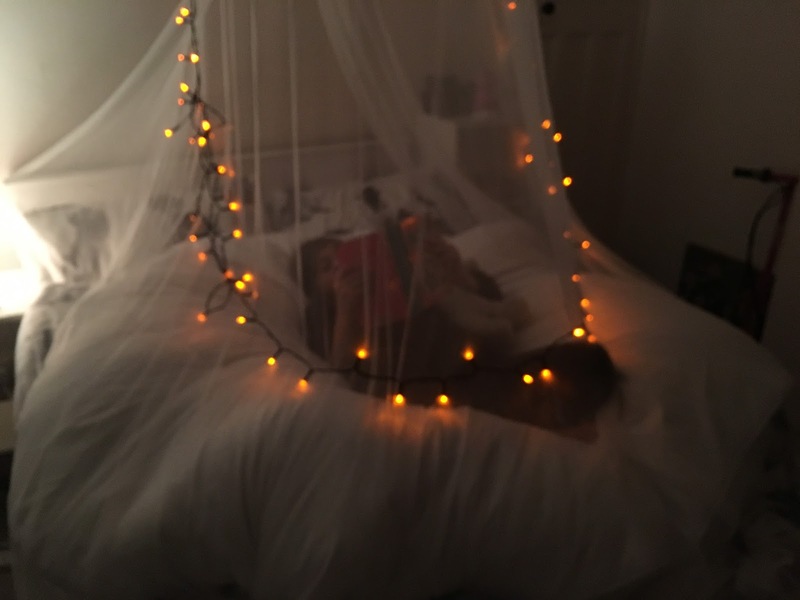 A giant nest, complete with fairy lights. 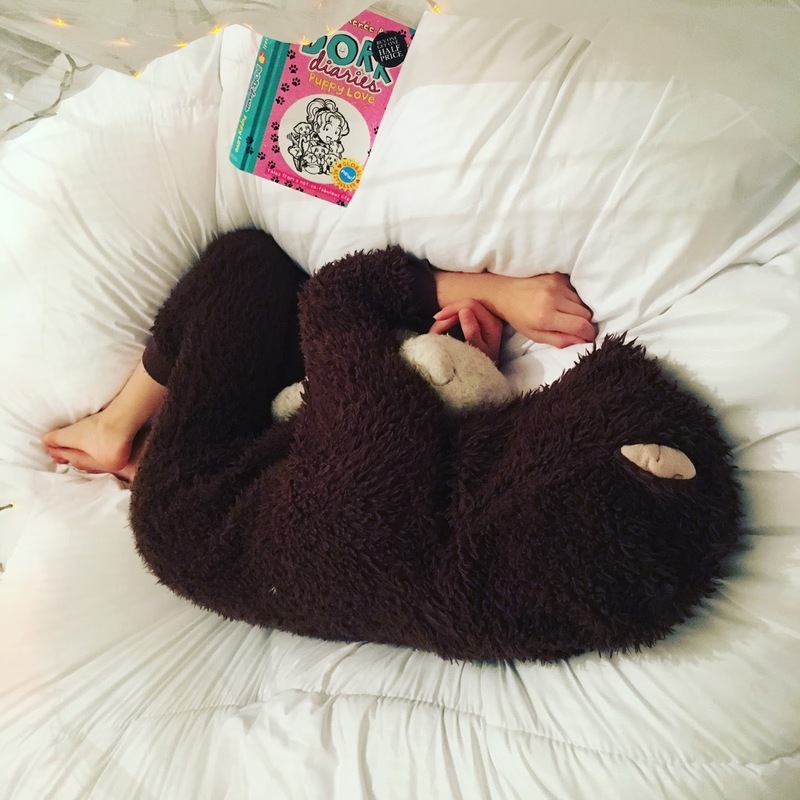 What a relaxing way to read. 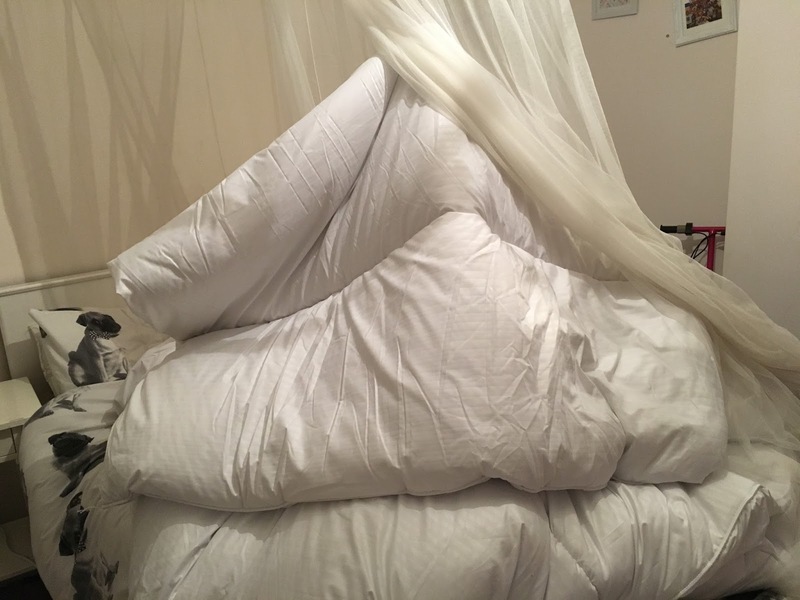 A duvet tent. apparently I am not allowed in. 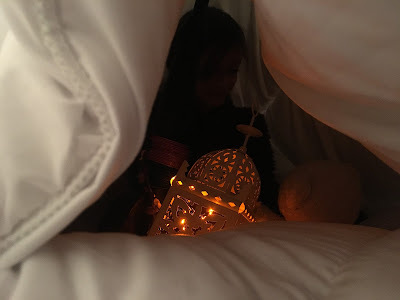 Inside the tent. She said she is never coming out. Later on that evening. Night night, beautiful girl. You can also find out plenty more ideas on the Slumberdown website for fun games you can play with your children that will hopefully have them sleeping all night long.